How do you keep your characters physical traits and bios straight ? I have tried so many different ways and have found many that I like and that work for me. I have tried keeping photos and magazine cutouts in a binder located next to each character's photo. I sometimes use a pinup board and place photos next to index cards that give descriptions of each character. While writing my last blog post about character sketches using worksheets or templates I remembered a web-site that I stumbled upon about a year ago that had a great idea about making character trading card-like baseball trading cards. I searched the web today trying to find the site again and after a long search I found it. 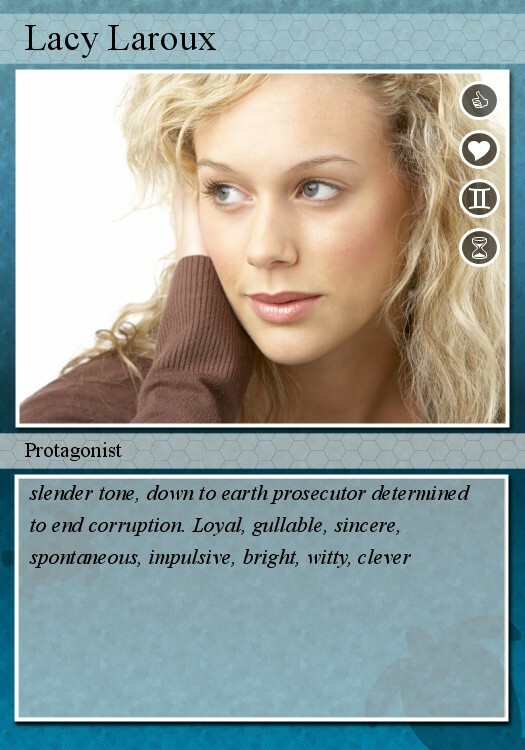 Lynn Viehl, a published author posted an article about creating character cards a while ago on her blog, Here . I liked the idea then and I love it now. I looked around for other sites that offer the same and found a few, but none that I like nearly as much and none that allowed me to include nearly as much detail on the card. Here is what I found. Have you ever considered making character cards? If you have made them or know of any other web-sited where you can easily create your own trading cards for characters, please share. What an awesome idea! I'm going to tweet this. This sounds really cool. I could try this for the novel I want to release later this year. Gonna bookmark this. Thanks! Thank you Clarissa. I am so glad that I was able to reconnect with you after losing all of my blog content. Thank you J.L. Campbell. Thank you for stopping by.